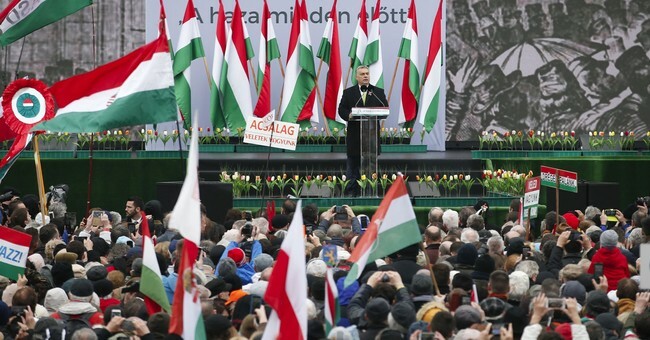 If the Huffington Post is to be believed, a bigoted Prime Minister in Hungary is leading the nation in a dangerous, ultra-right direction, to the consternation of the populace. If the election results are to be believed, a courageous Hungarian leader is standing against a sea of political correctness, with the support of the populace. I’d say in this case, the Hungarian people have a better sense of reality than does the Huffington Post. Is it any surprise that the Huffington Post had a very different perspective on the elections? Lest this strike you as utterly bigoted, how would a Muslim country like Saudi Arabia respond to the arrival of tens of thousands of Christian refugees who not only wanted to enjoy government benefits but also had no desire to assimilate into Saudi, Islamic culture? Do they have no right to decline such refugees? And, given the fact that Muhammad is now the number one boy’s name in countries like England and Wales, Orban’s concerns can be understood. Not surprisingly, he has declared Christianity to be “Europe’s last hope,” a striking statement for a man who was once an atheist. Even George Soros is portrayed as a victim: “Last year, the government also began a billboard campaign that targeted the 86-year-old American billionaire George Soros, whose Open Society Foundations fund a range of liberal-minded projects and organizations in Eastern Europe. Others interviewed by the Huffpost supported these serious claims. Shades of 1984! Is it any surprise, then, that Orban’s policies have drawn such ire from the left? Thankfully, for the good of Hungary, it is the people of that nation, not the liberal Western media, who have the final vote. On Sunday, they made their sentiments clear.